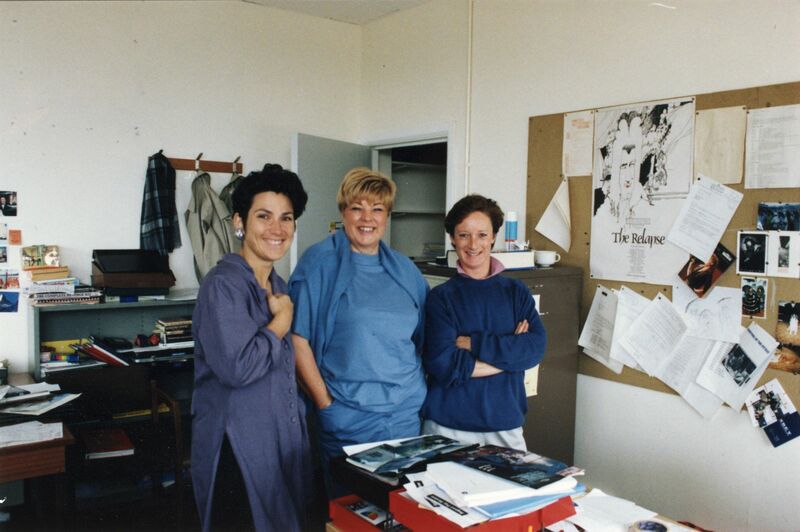 The photo includes left to right: Belinda Cherrington (now an exec producer at Mentorn), producer Carol Parks, and production assistant Jane Barton. It was taken in one of the Drama production offices at BBC Pebble Mill. The photo probably dates from around 1990.